Remix! Ready to drop some sick beats? It’s time to step up to your destiny: the deadliest DJ in all of the swimming pools of the land. 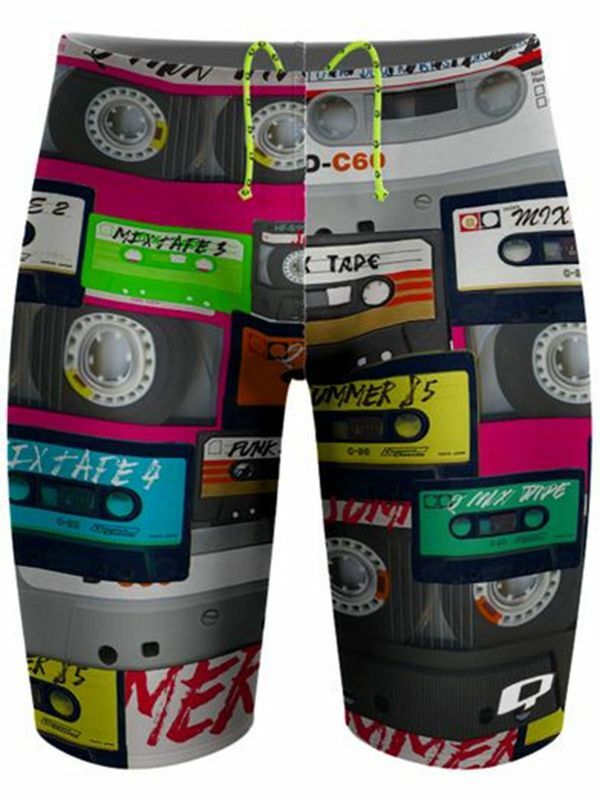 In the Q Swimwear My New Mix Tape Jammers, everybody is going to know that you are the music man! With an 80s throwback print of all of our fave mix tapes, these magenta, lime, aqua, lemon, slate, and charcoal, these jammers are as cool as they come. Of course, to make incredible music, you need top notch instruments. If you want to make beautiful music in the water, all you need are amazing jammers. Made with top quality 53% polyester - 47% polyester PBT Q Swimwear fabric, the Q Swimwear My New Mix Tape Jammers will have you flying through the water at the speed the sound!